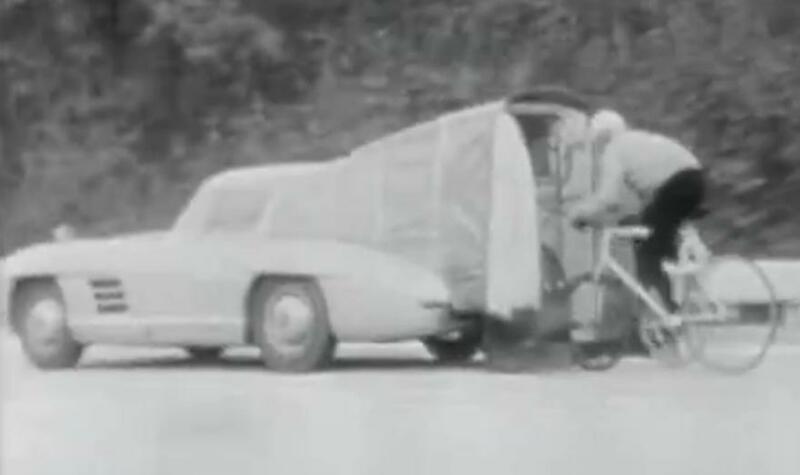 This historic footage captures the horrendous crash José Meiffret suffered, while attempting to set a new motor-paced speed record on a bicycle in Montlhéry, France more than half a century ago. In fact, Meiffret crashed so specularly, that many news outlets prematurely announced his death. However, despite numerous injuries, to include a fracture skull in five places, the French rider pulled through. 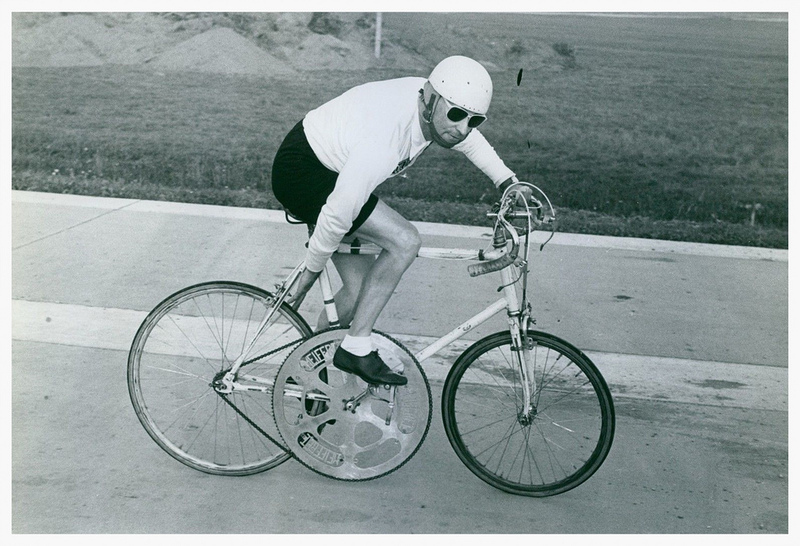 After a ten-year recovery, Meiffret went on to set a new record, as the first cyclist to ride a bicycle at more than 200 kilometers an hour, clocking a speed of 204.778 kph while slipstreaming behind a gull-winged Mercedes 300SL on an autobahn in Germany. To accomplish this, Meiffret had to use an enormous chainring, which had no fewer than 130 teeth. 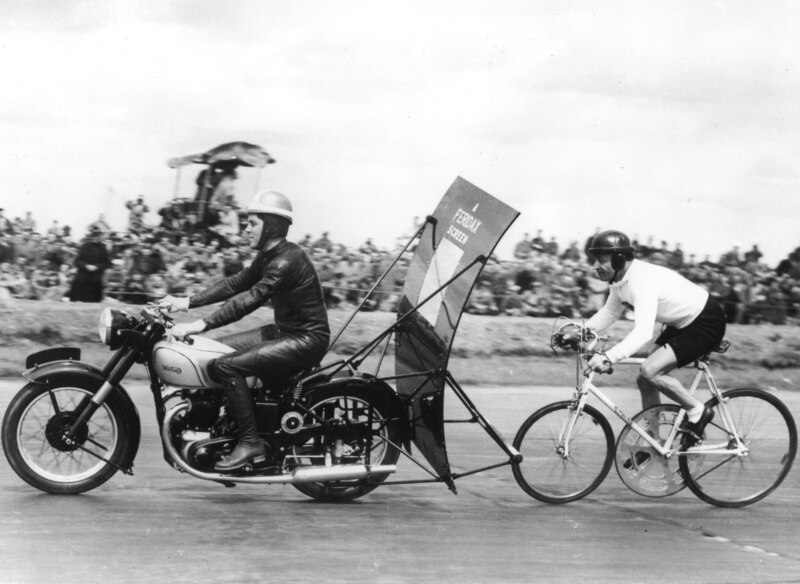 Meiffret’s record stood for more than 30 years, until Dutch cyclist, Fred Rompelberg, set a new record speed of 268.83kph, while drafting a dragster at Bonneville Salt Flats, Utah, in 1995. 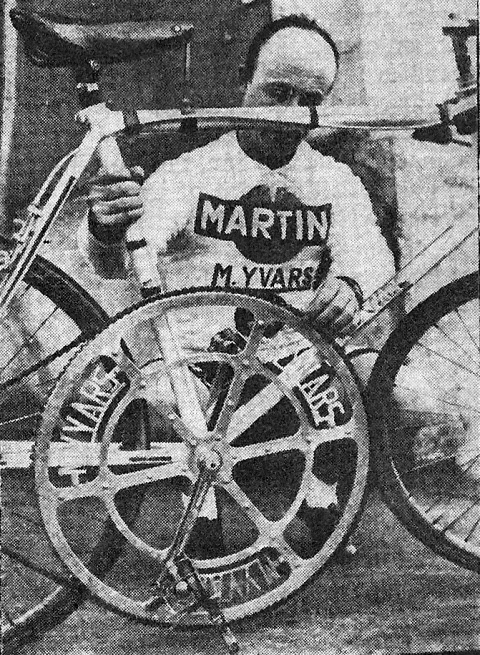 The record-setting bike Meiffret used, remains on display in a museum in Paris.